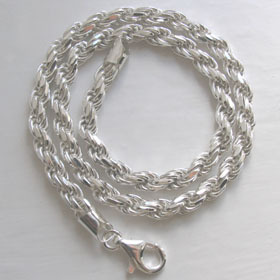 Diamond cut sterling silver rope chain necklace. 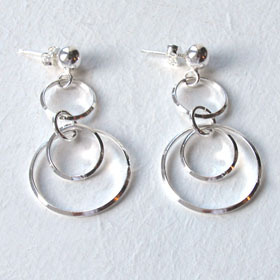 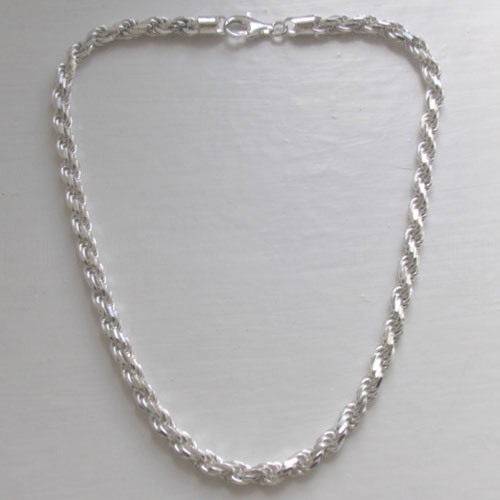 This new addition to our extensive silver chains collection is a beauty! 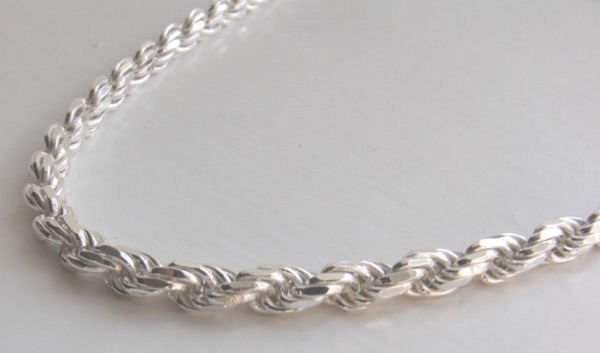 It's sparkly and fluid like liquid silver and it's stunning. 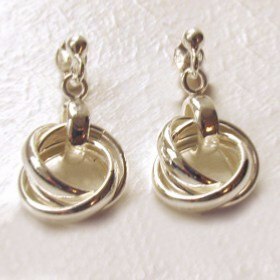 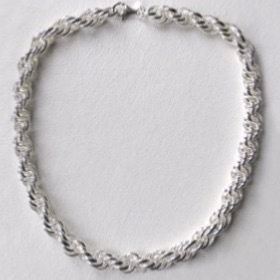 At 6.0mms wide, it's substantial and strong and looks excellent worn alone as a silver rope necklace. 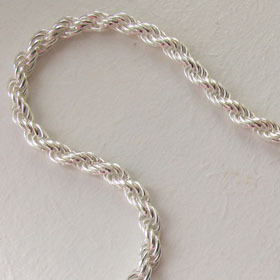 It's also a great pendant chain for a large pendant. 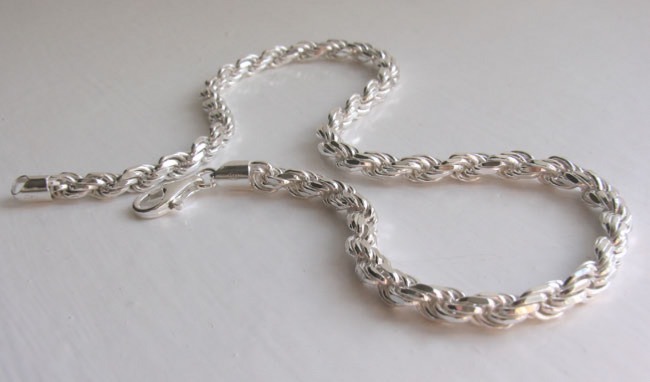 Rope chains are classic, favourite designs. 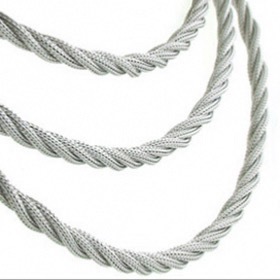 Their gently undulating profile is created by the several strands of silver closely wrapped together into the rope design. 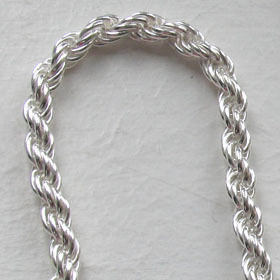 The many surfaces of this silver rope chain are diamond cut and sparkle as they reflect the light. 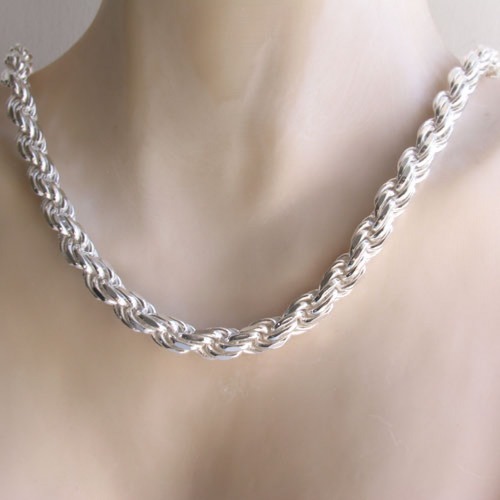 This is a compact weave and the chain will form a U rather than crease into a V around your neck. 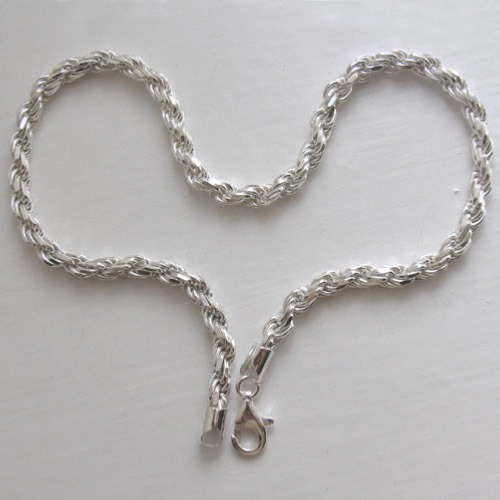 The chain fastens with a chunky lobster claw clasp. 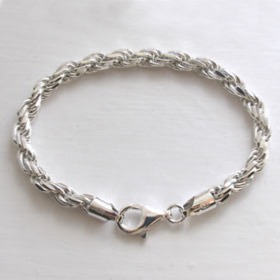 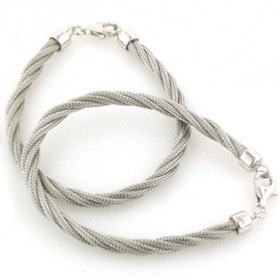 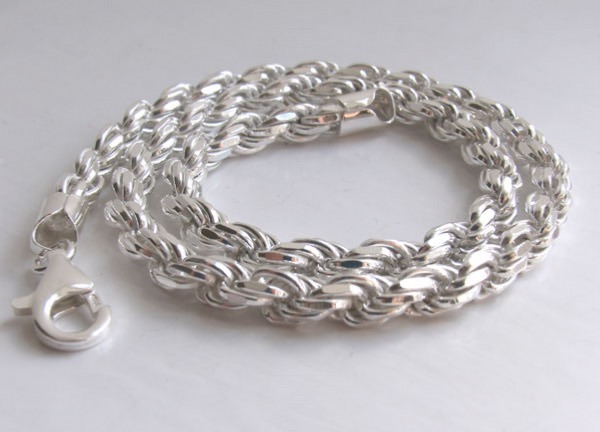 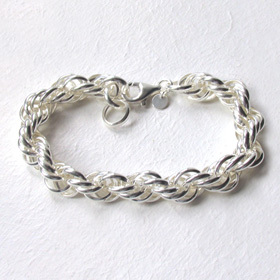 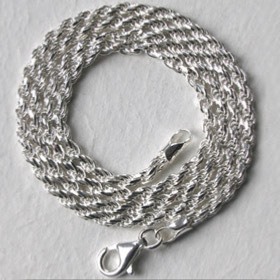 We have a large collection of silver rope chains in alternative widths - 2.3mm, 4mm, and 7mm, lengths 16" to 34"
See also our matching silver rope bracelet.